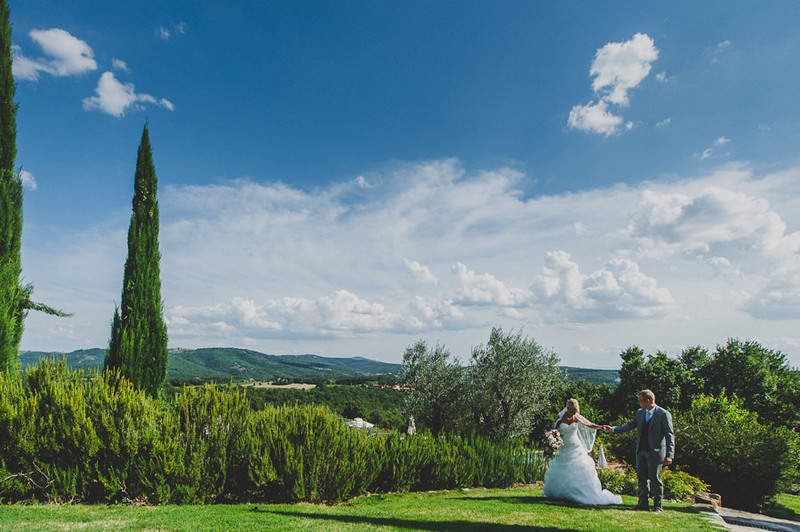 A beautiful sunny day among Chianti hills. 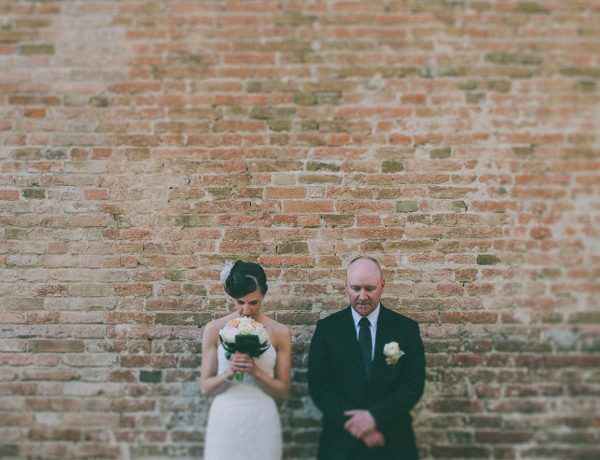 A wonderful couple. 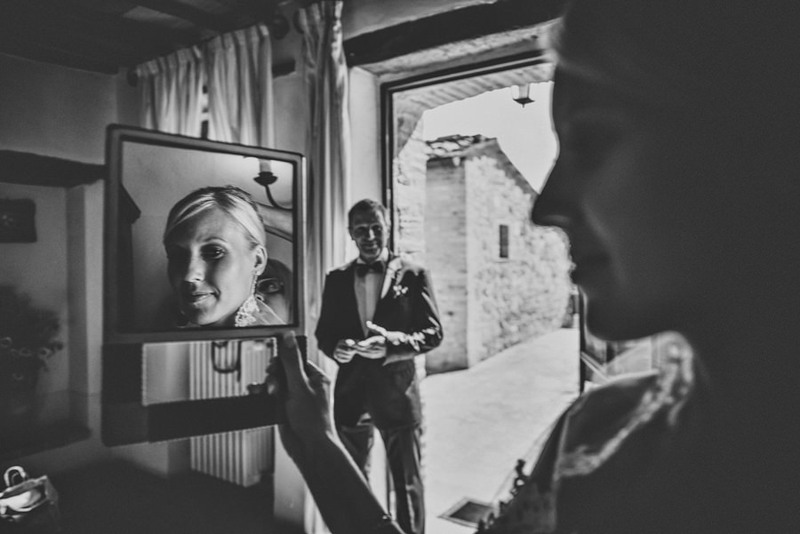 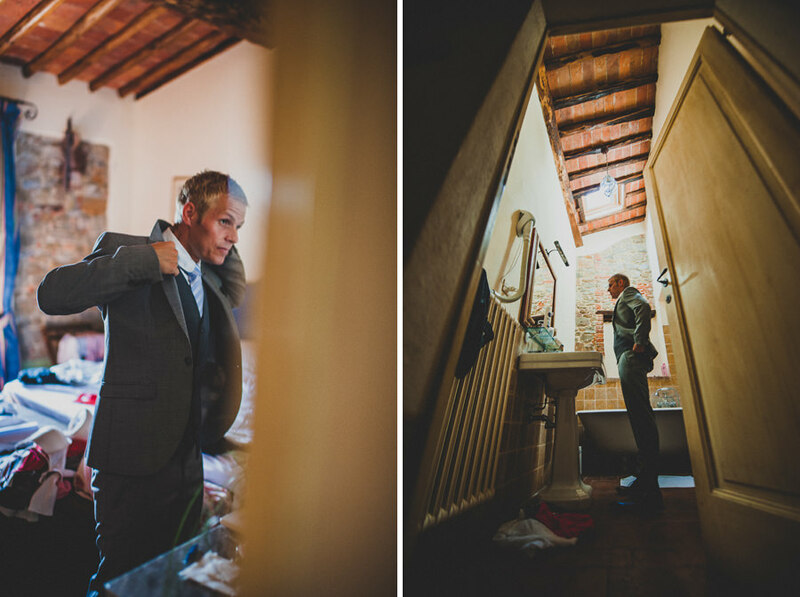 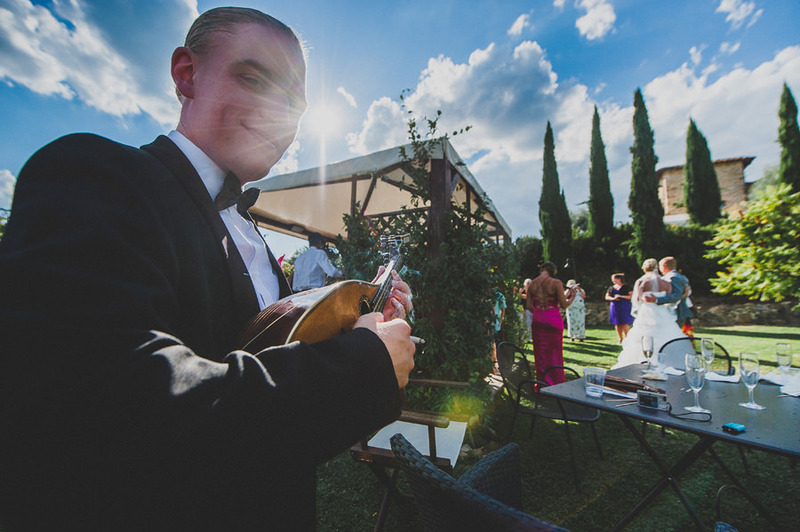 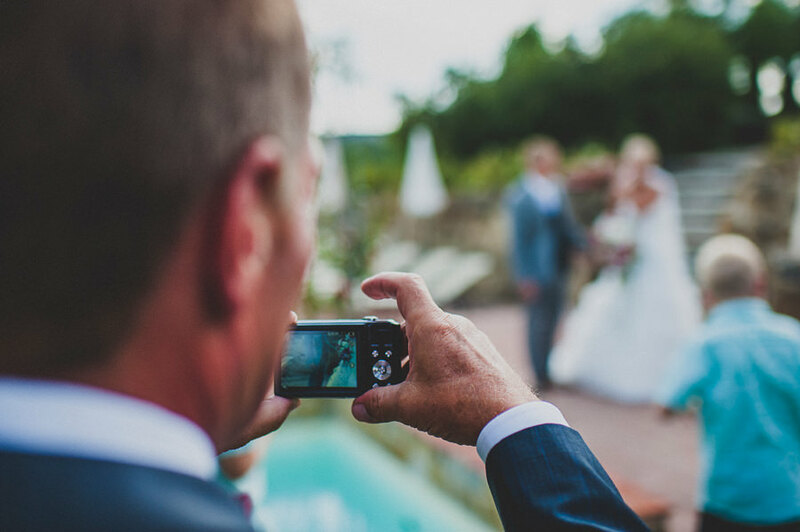 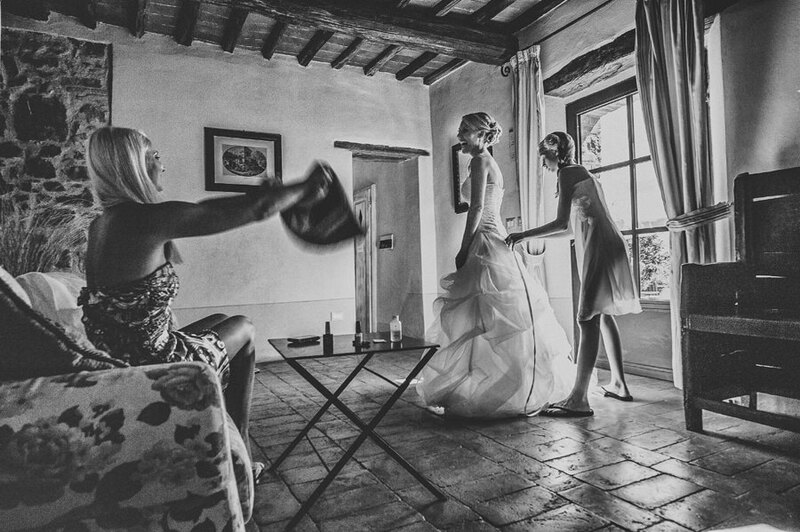 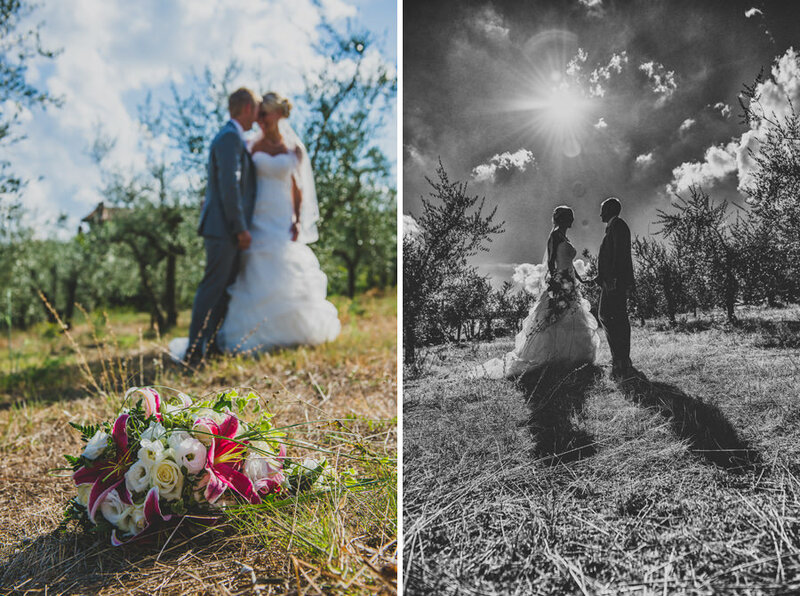 They are the right ingredients to a great tuscany wedding reportage. 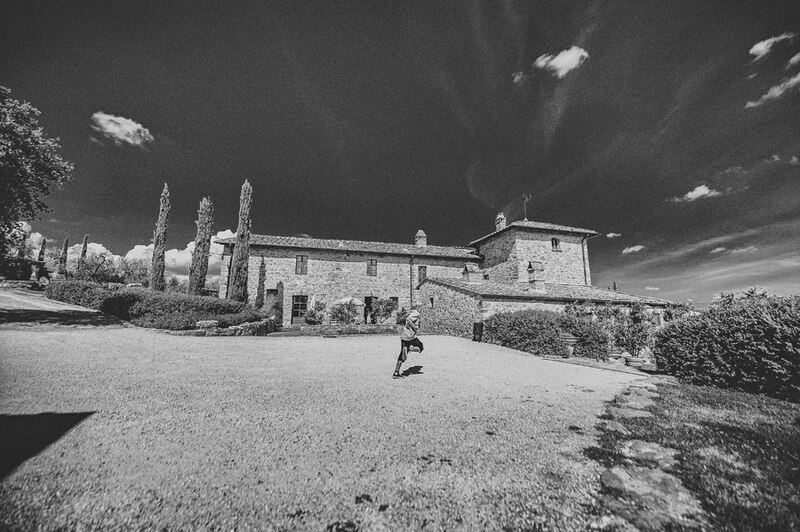 Between Florence, Siena and Arezzo the are really many gorgeous places with unique landscapes. 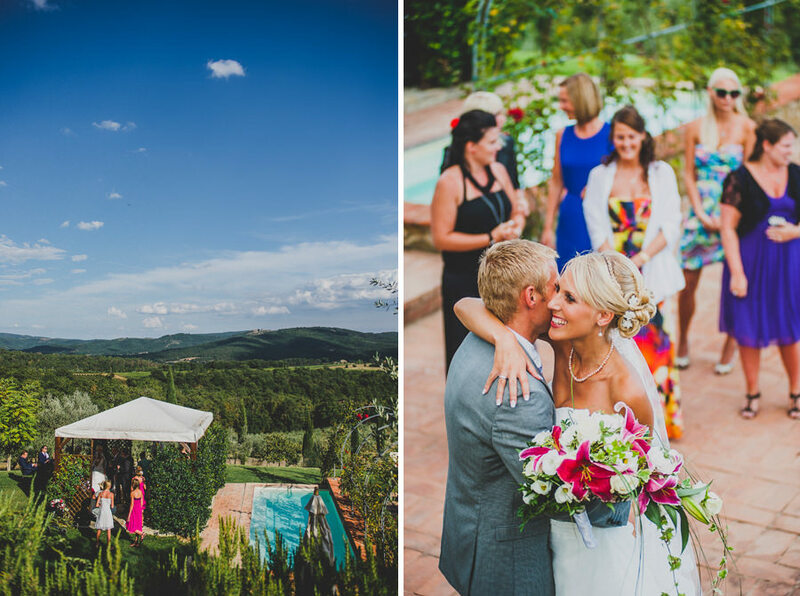 Montebenichi is surely one of them. 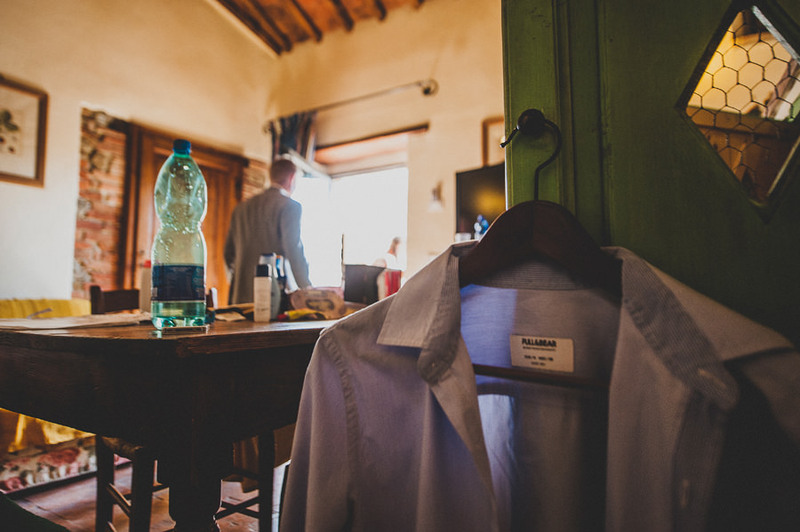 I have been guest of CASA CORNACCHI for one day. 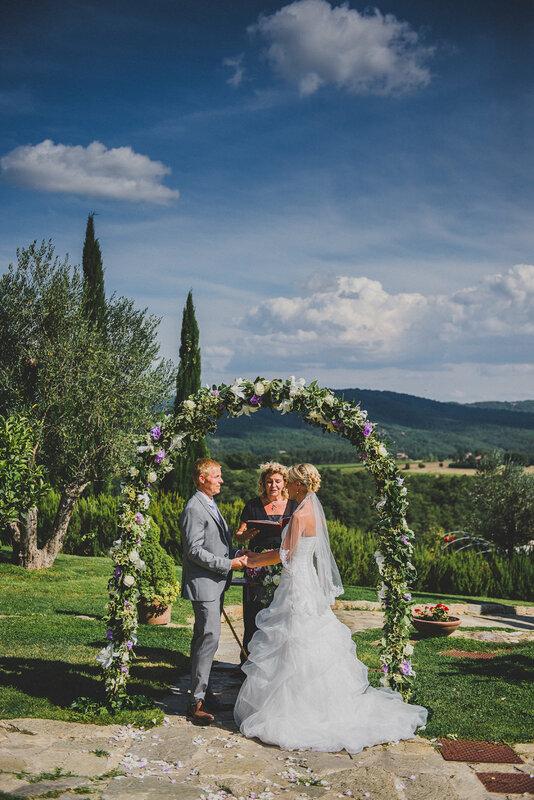 In this beautiful location around an old century watchtower surrounded by olive trees and vines Giacomo and Barbara have offered me all their kindness and professionalism to allow me to do my service. 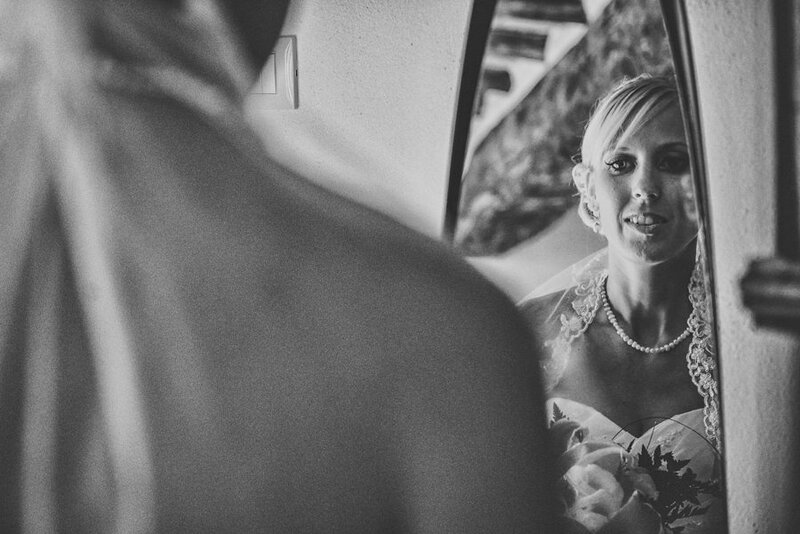 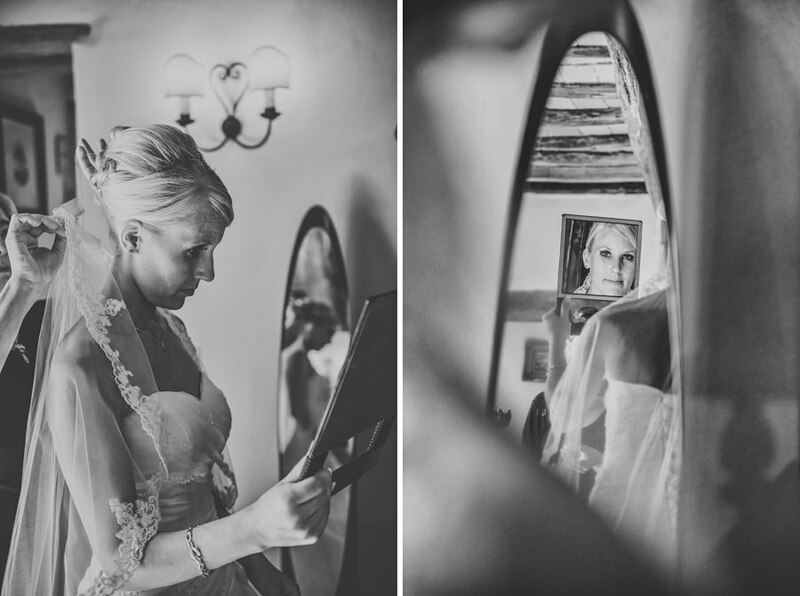 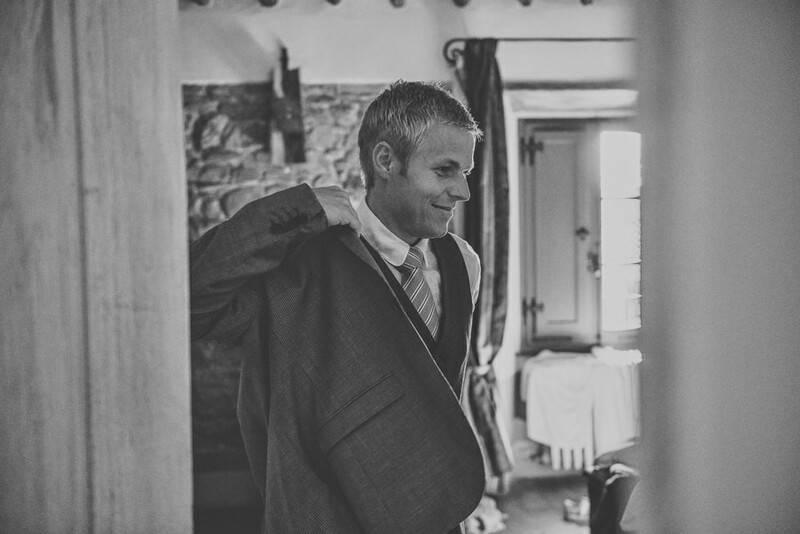 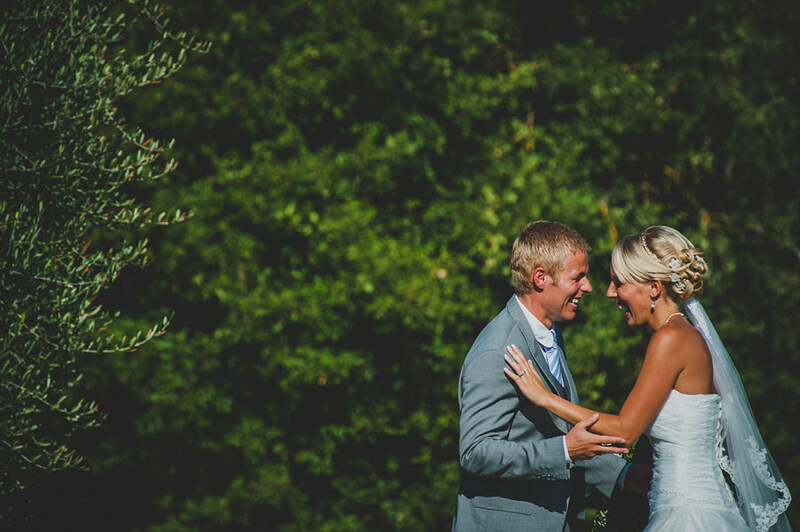 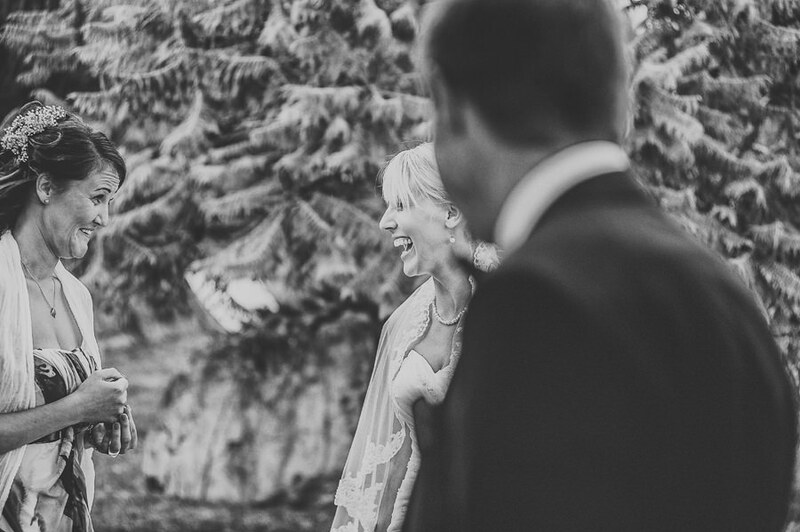 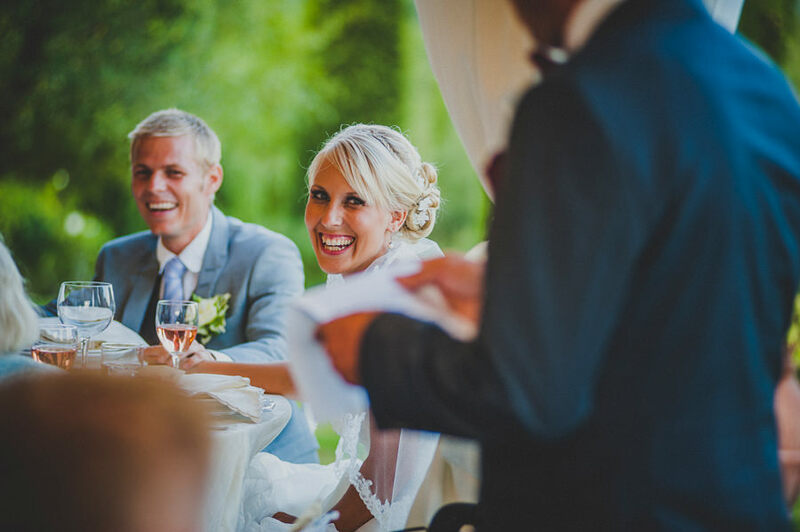 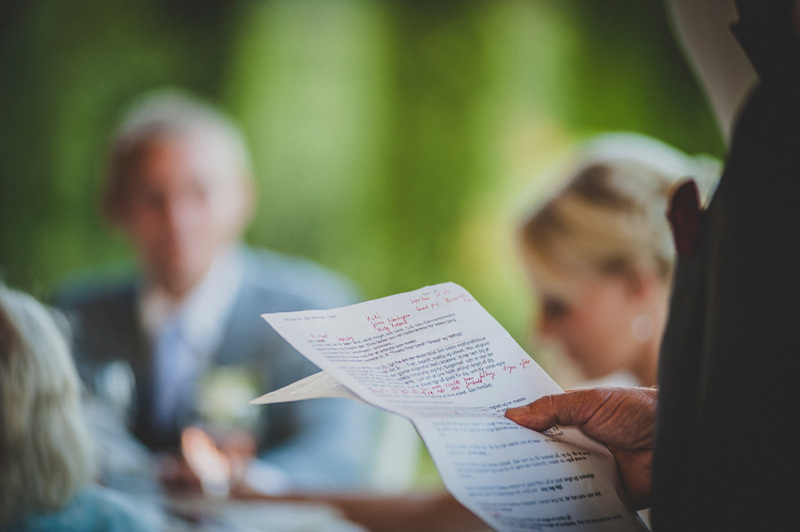 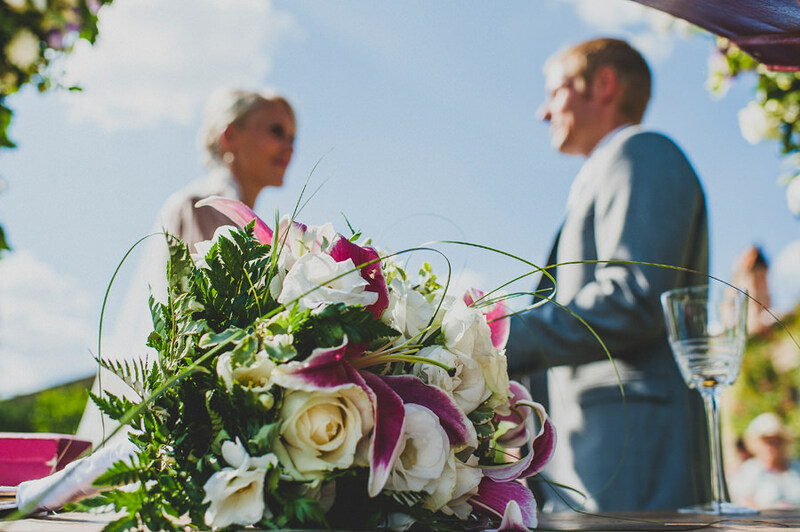 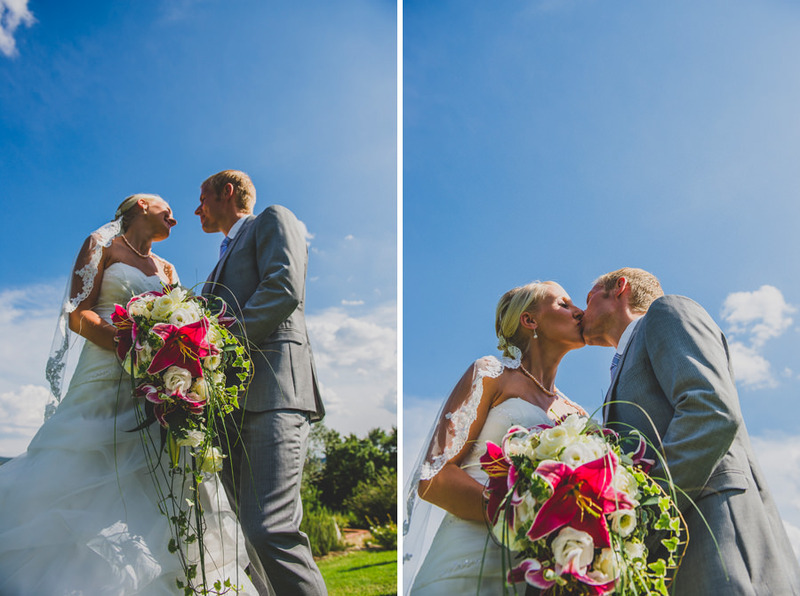 Thanks to them, I could live and capture this “special” danish wedding of Michael and Tanja. 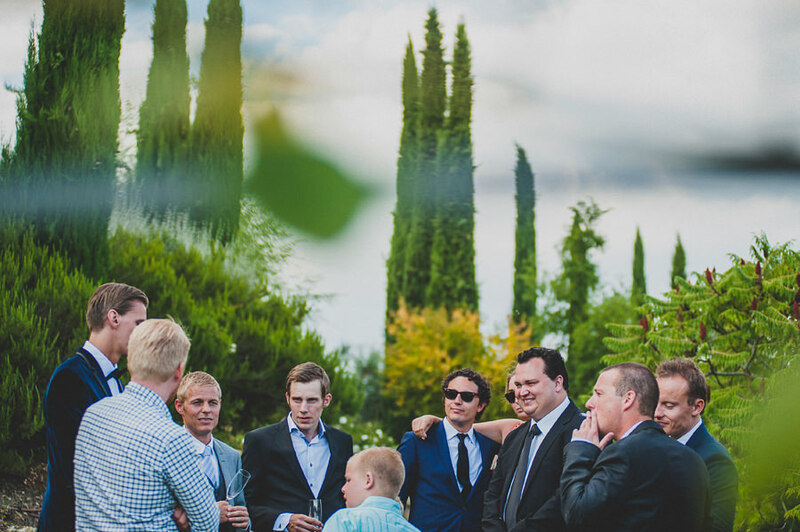 Two beautiful and brilliant guys from Denmark. 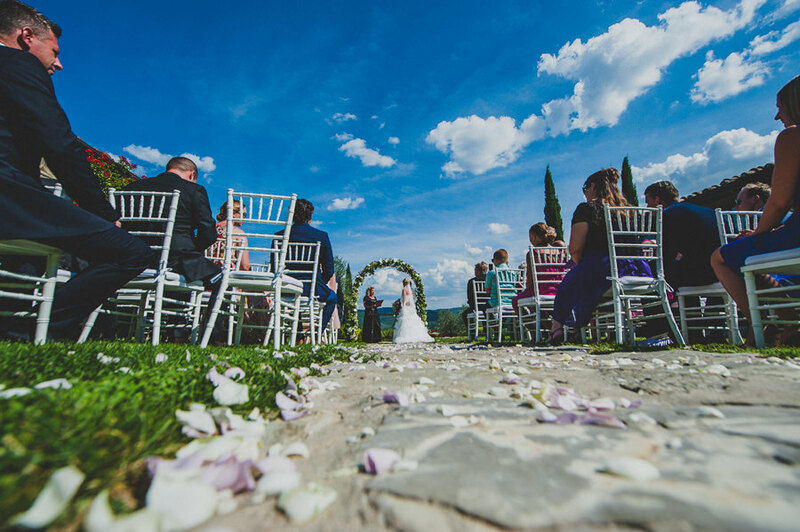 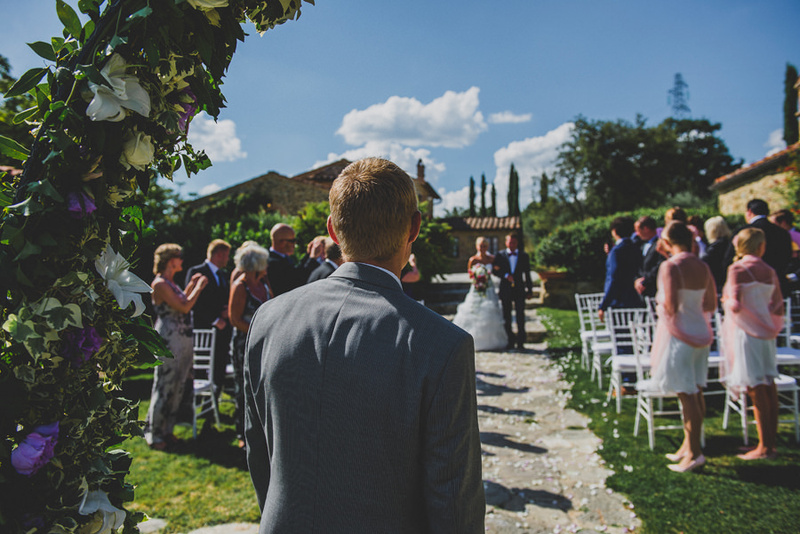 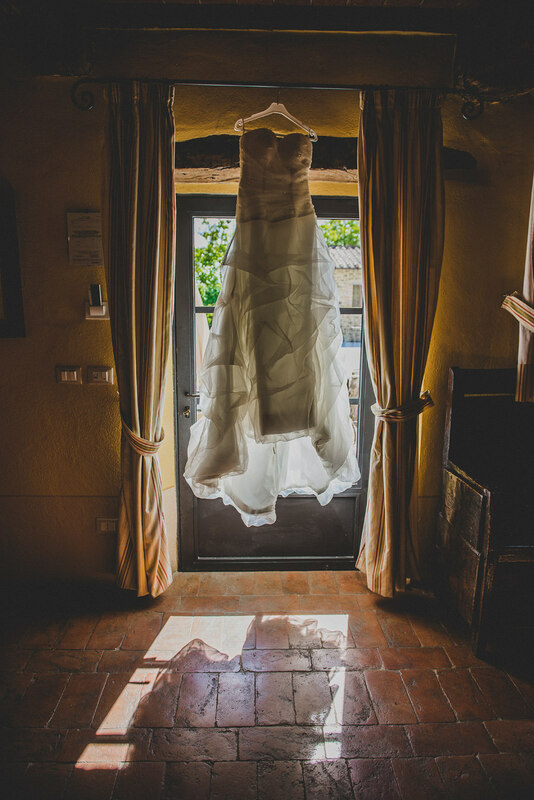 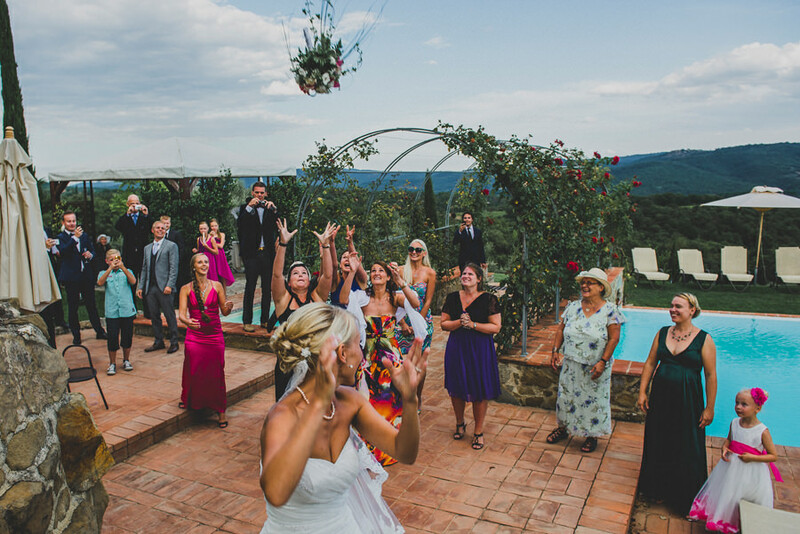 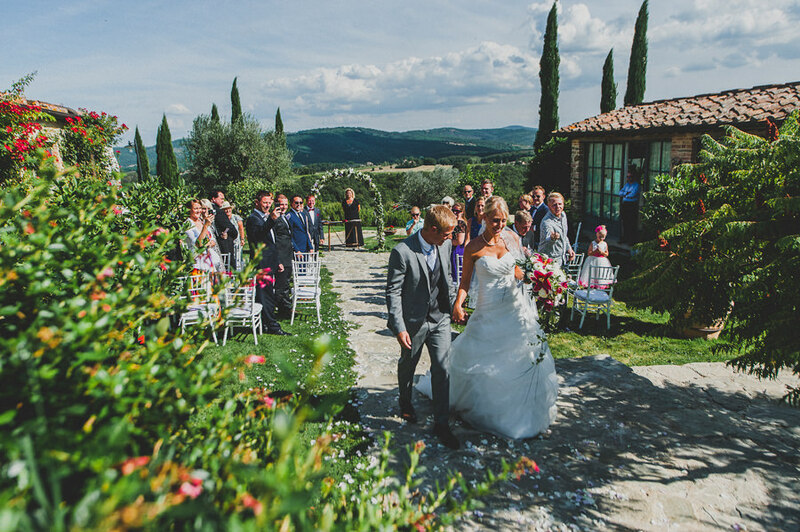 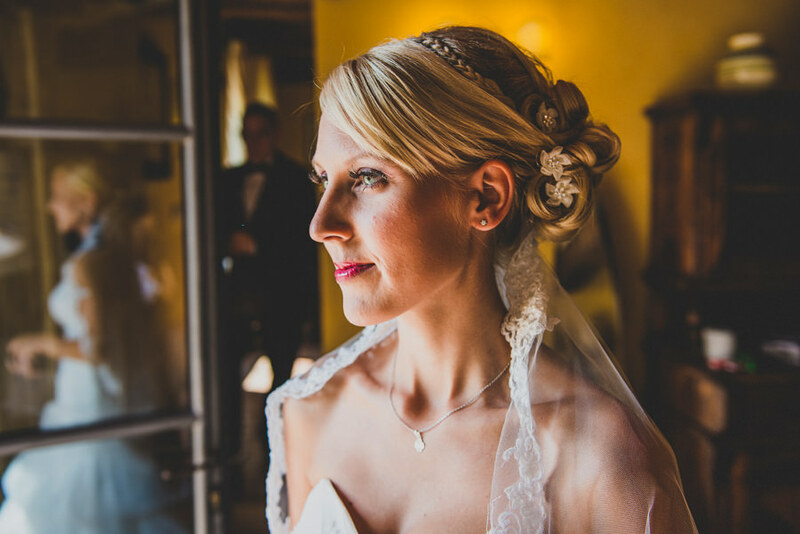 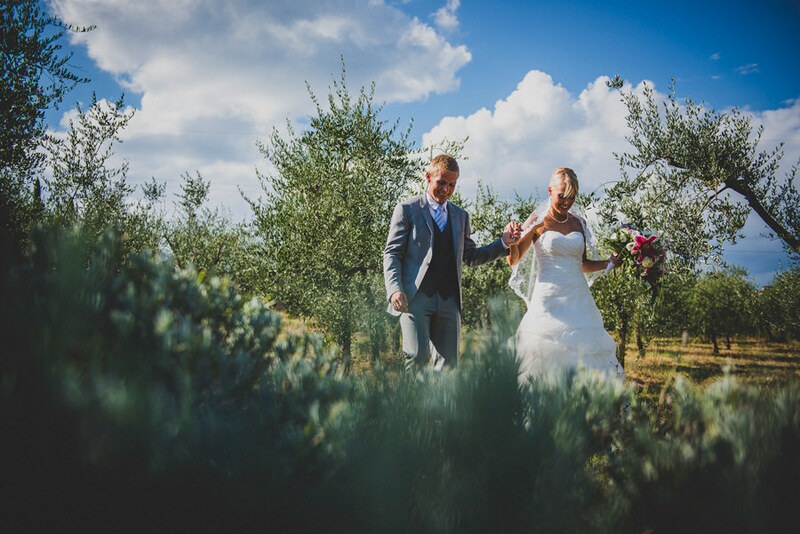 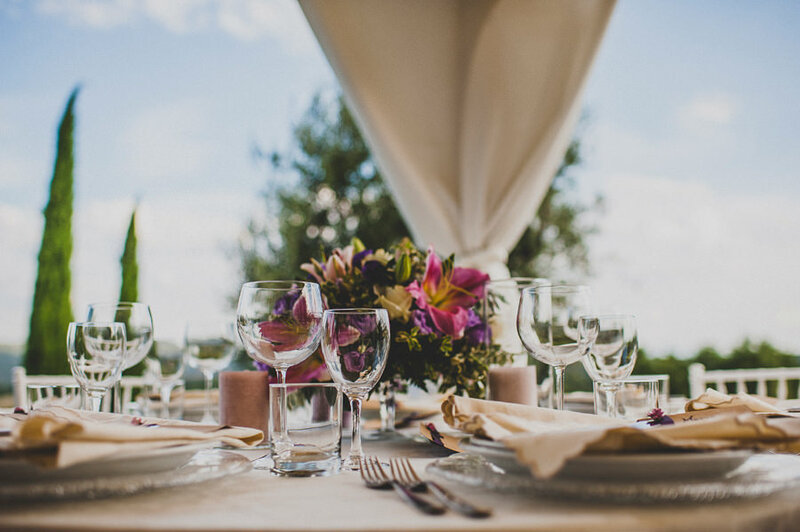 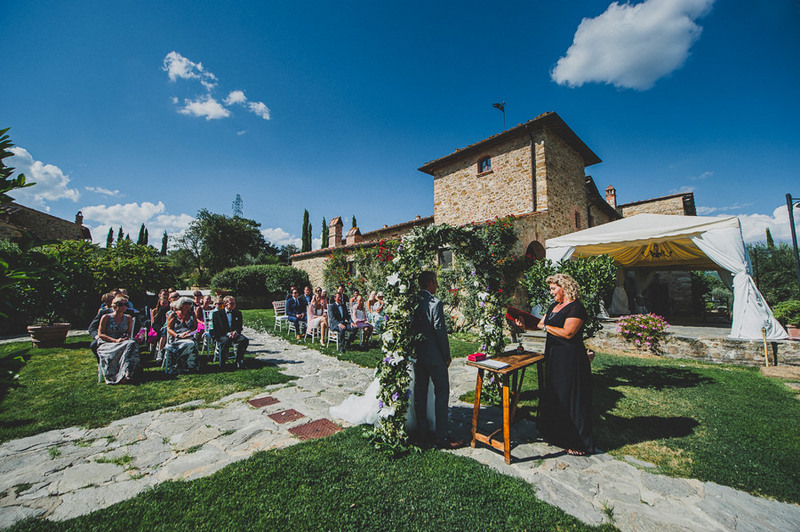 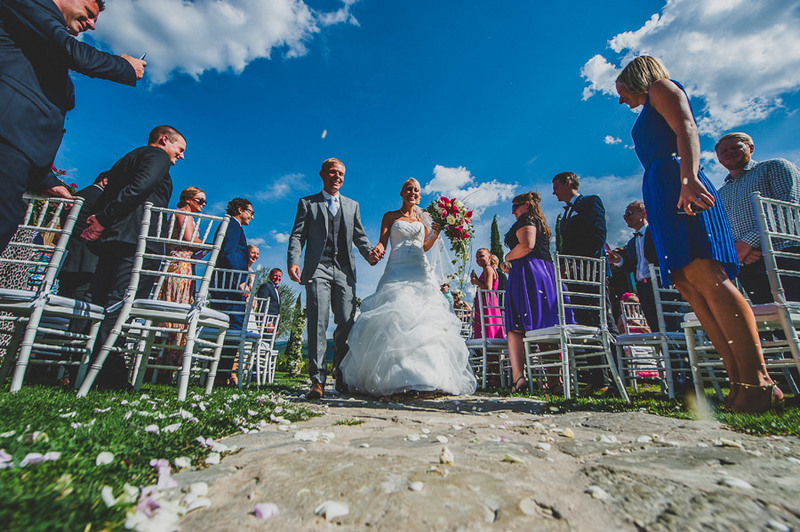 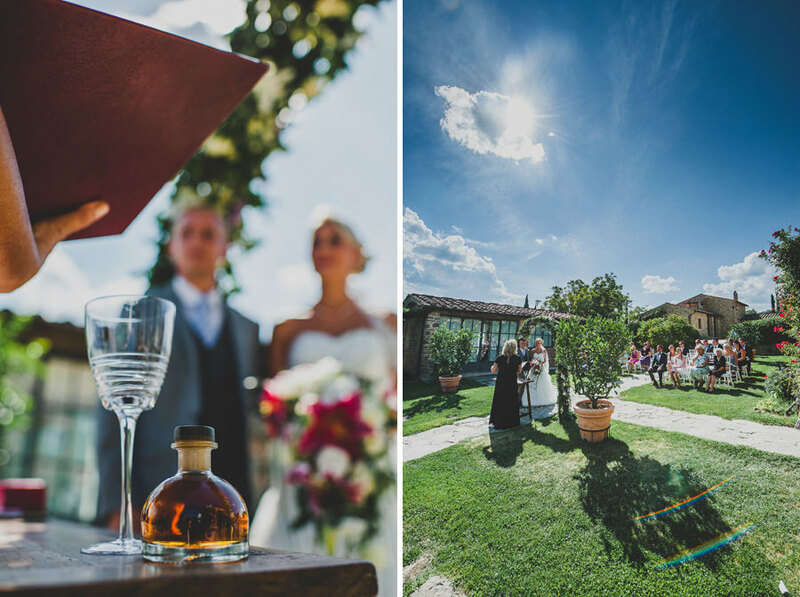 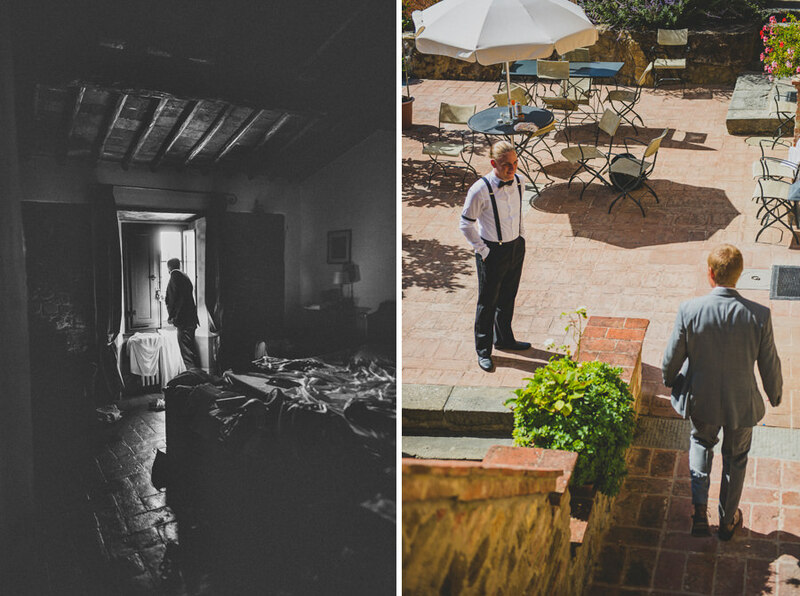 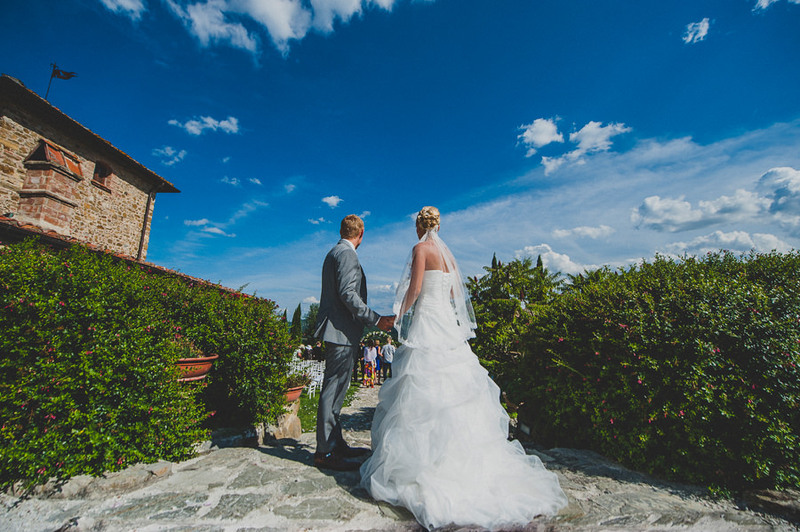 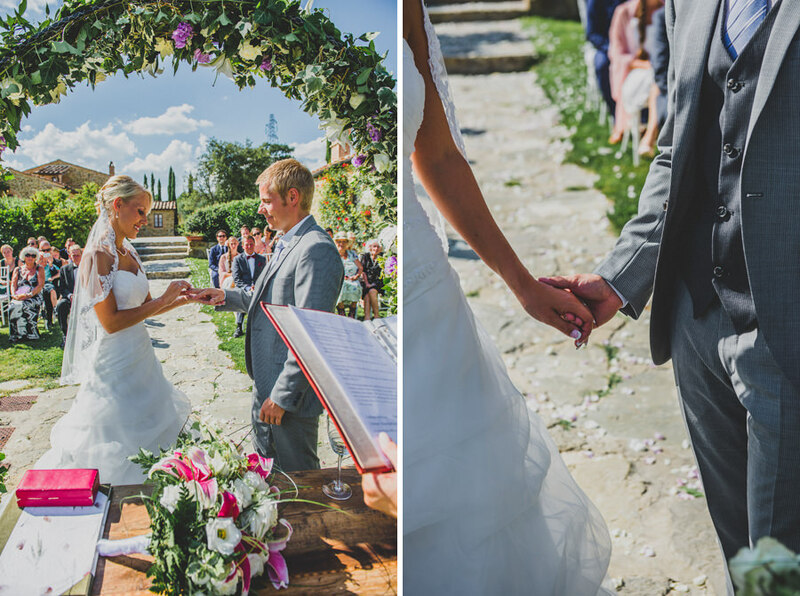 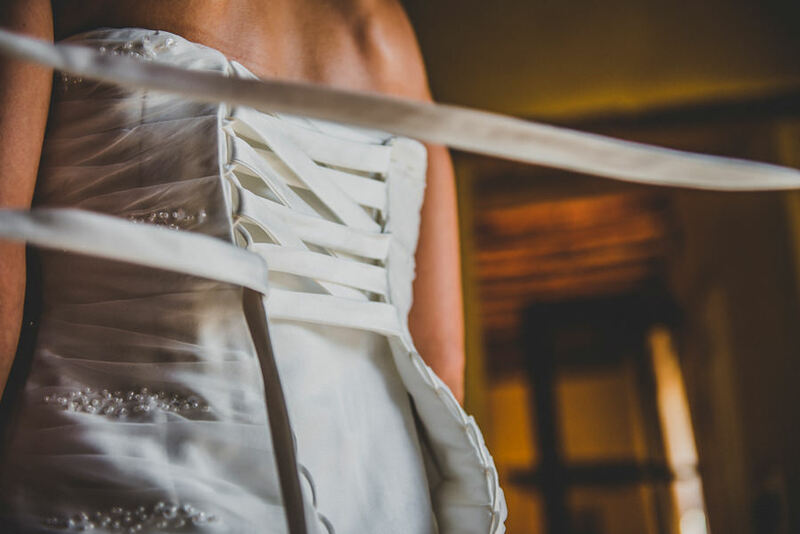 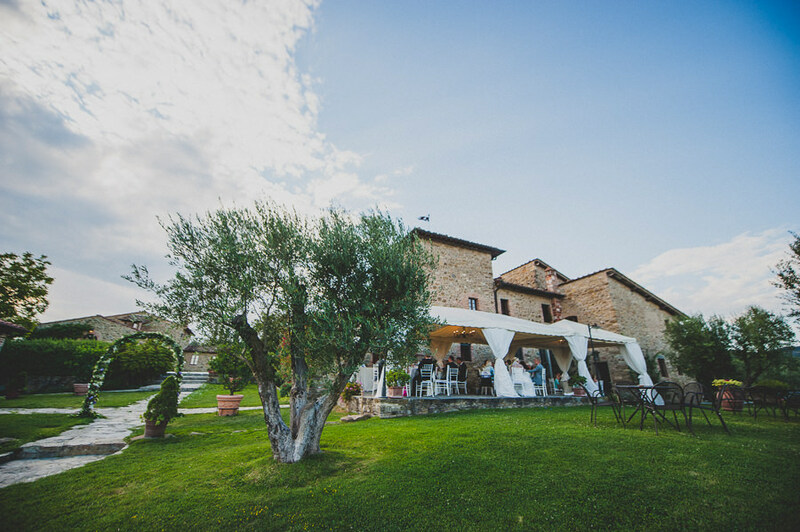 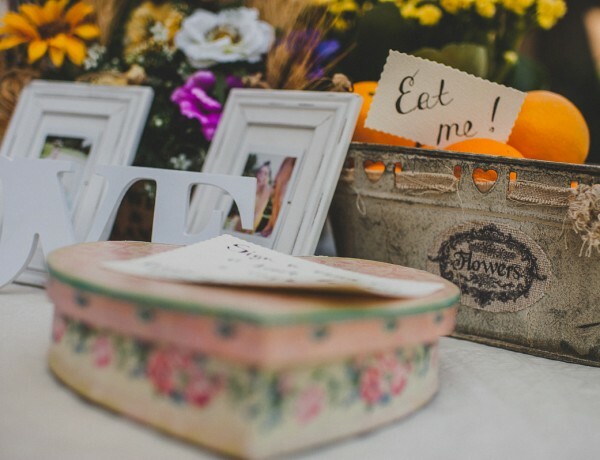 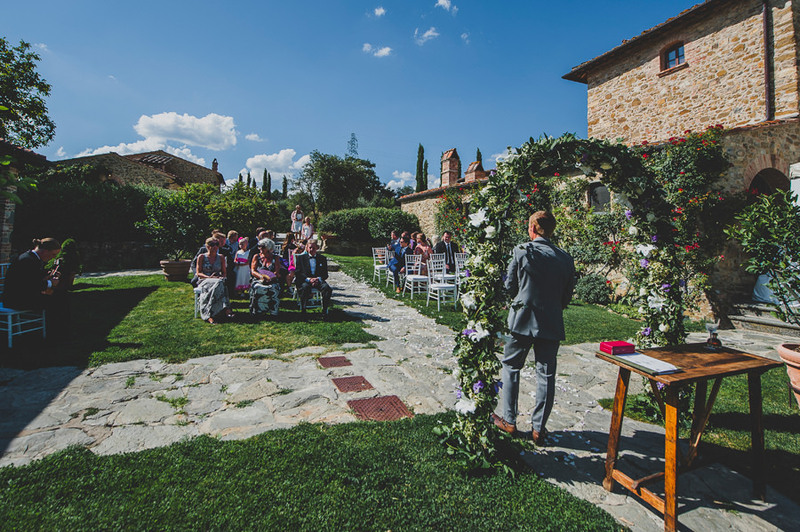 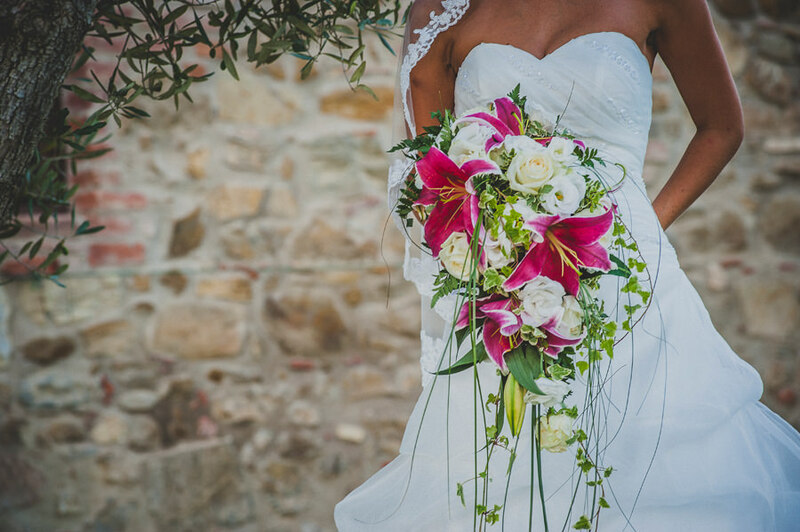 After the getting ready inside the rooms of the farm, they said their “i do” to the tuscan landscapes and to the radiance of Mrs Jo Bertolino of TUSCANPLEDGES. 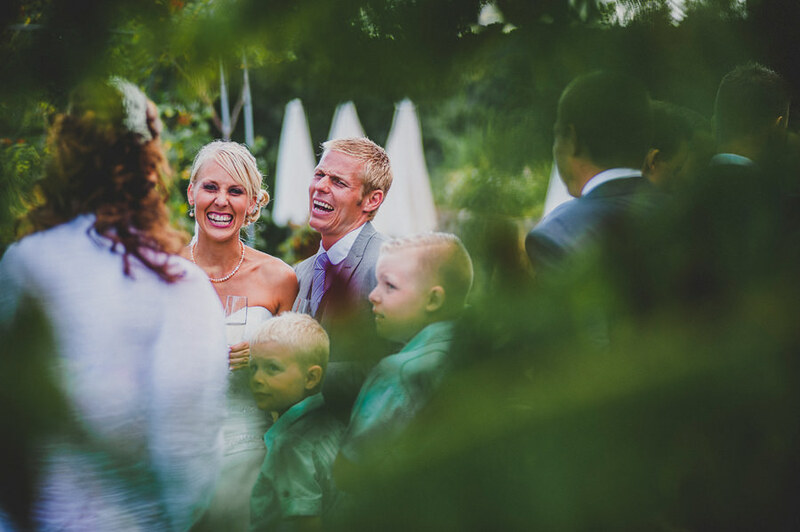 Meanwhile the relatives and friends celebrated, we went away to do some portraits in the vast garden around the pool. 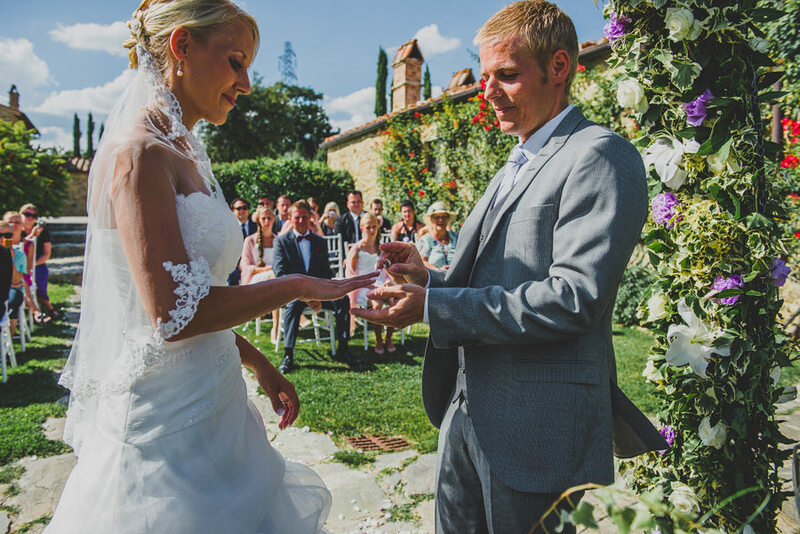 Fast and quick to go back to celebrate this wonderful and unforgettable day together.